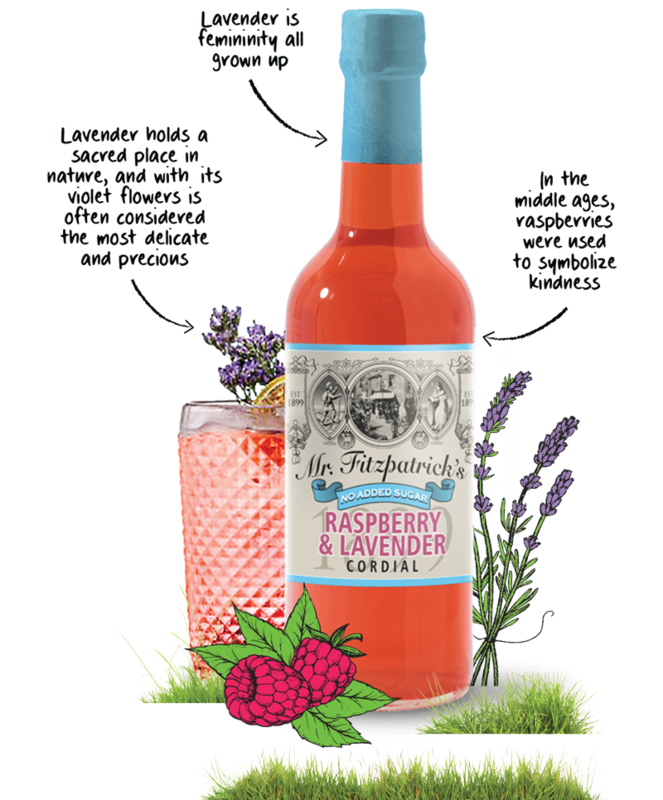 Our delicious No Added Sugar range has no artificial colours or flavours, making it the perfect choice for everyone to enjoy. 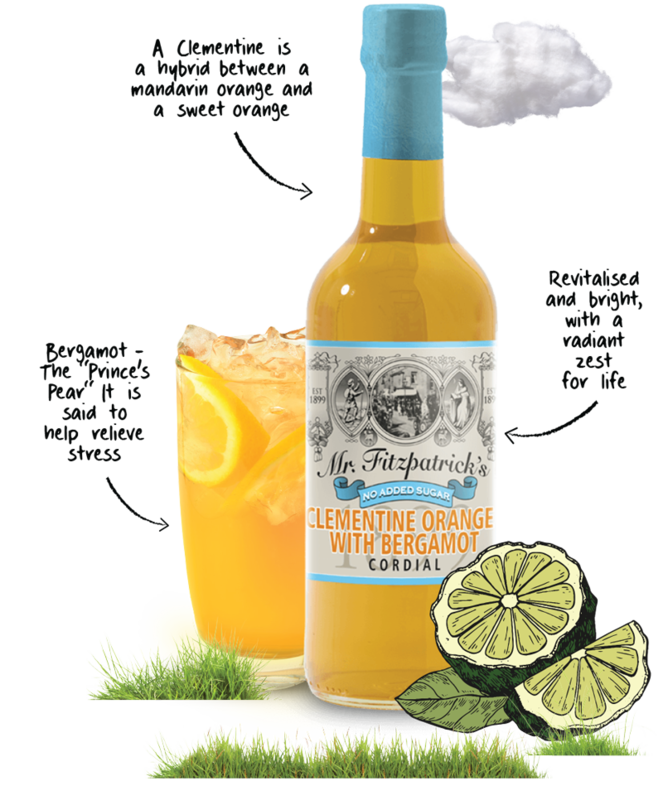 A lively & refreshing blend of Oranges & Clementines with a tantalising twist of Bergamot. 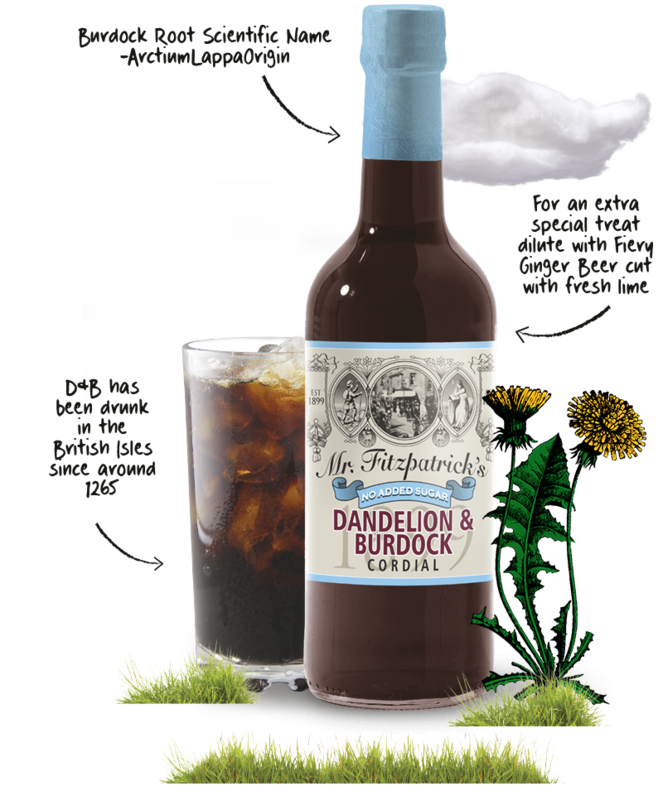 We are Cocker Hoop about our newest No Added Sugar Dandy & Burdock. 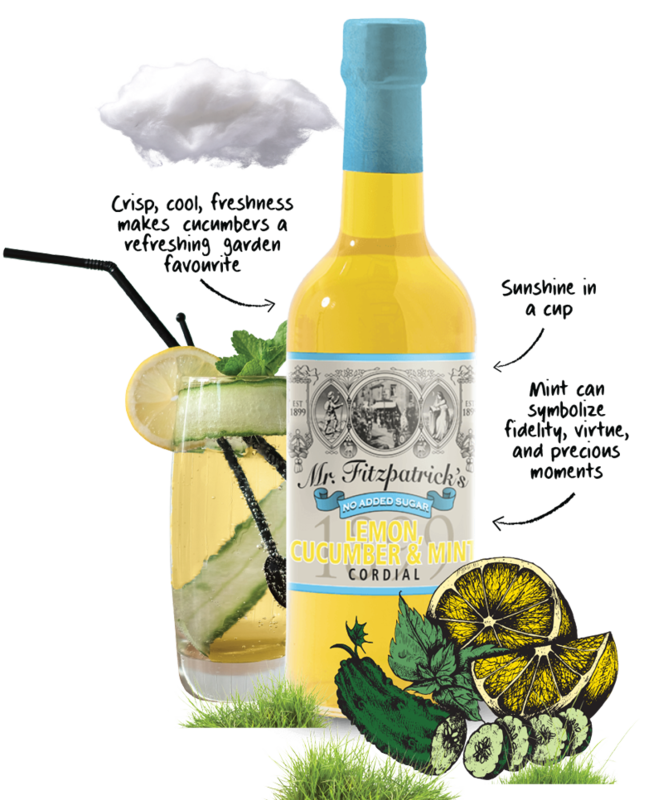 We’ve decided the time has come to offer our customers the same great taste you’ve come to expect of Mr Fitzpatrick’s but with no added sugar. 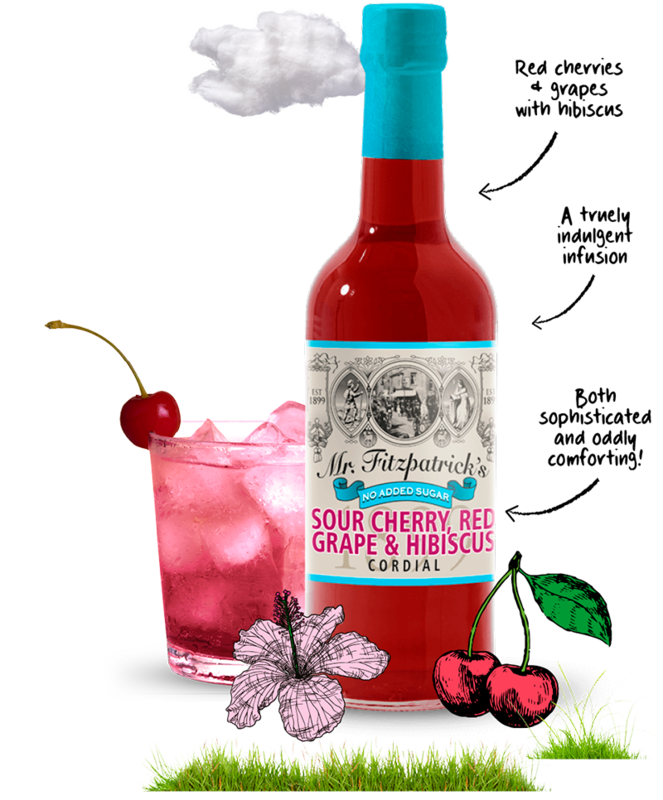 Deliciously sweet, this luxurious combination of sumptuously sour cherries, tropical hibiscus and fruity red grapes, is a deep, complex and indulgent infusion. 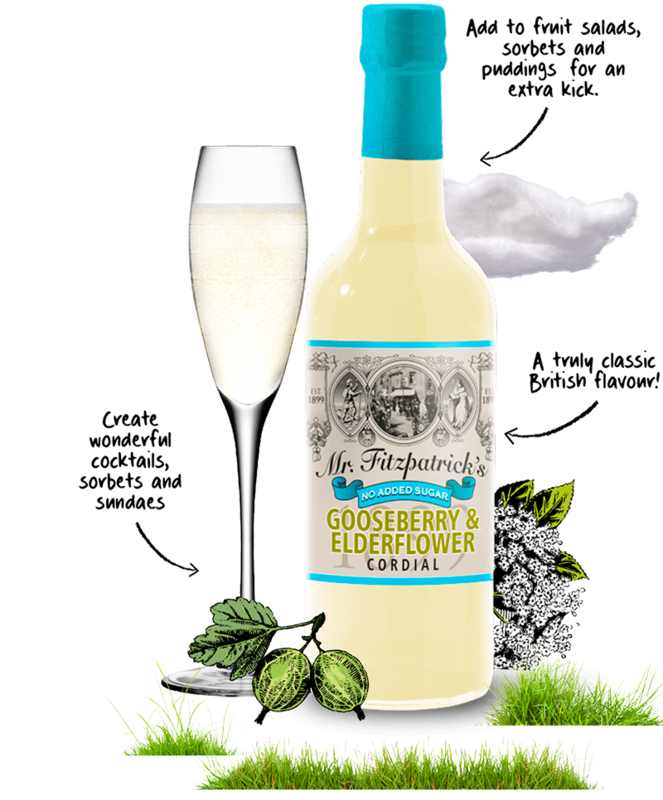 A truly classic british flavour, perfect for any occasion - create sensational spritzers, add a splash to your gin or to a glass of fizz. Makes for a slightly dry yet sophisticated drink. 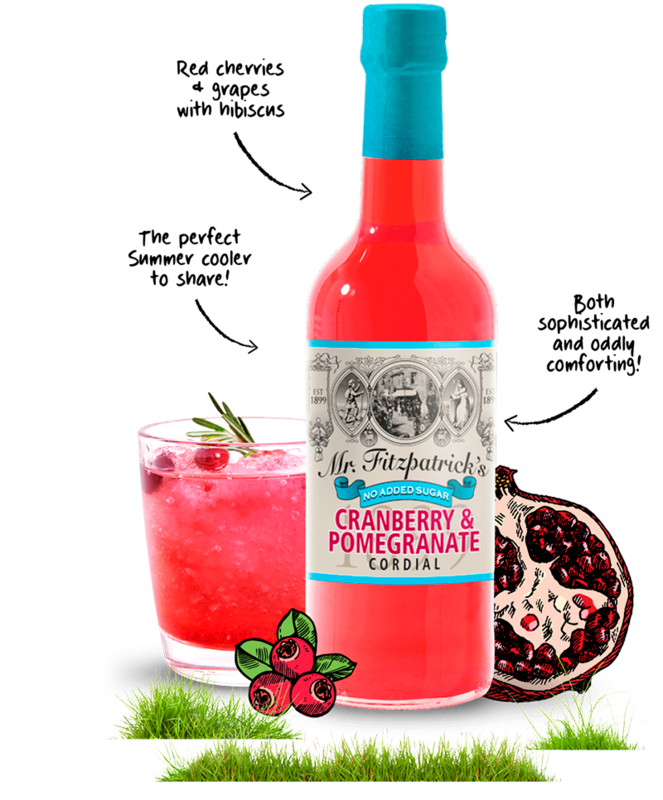 Our finest blend of cranberries, pomegranate and rosehip swirled together, providing an opulent yet refreshing taste, transforming any occasion in to a celebration. 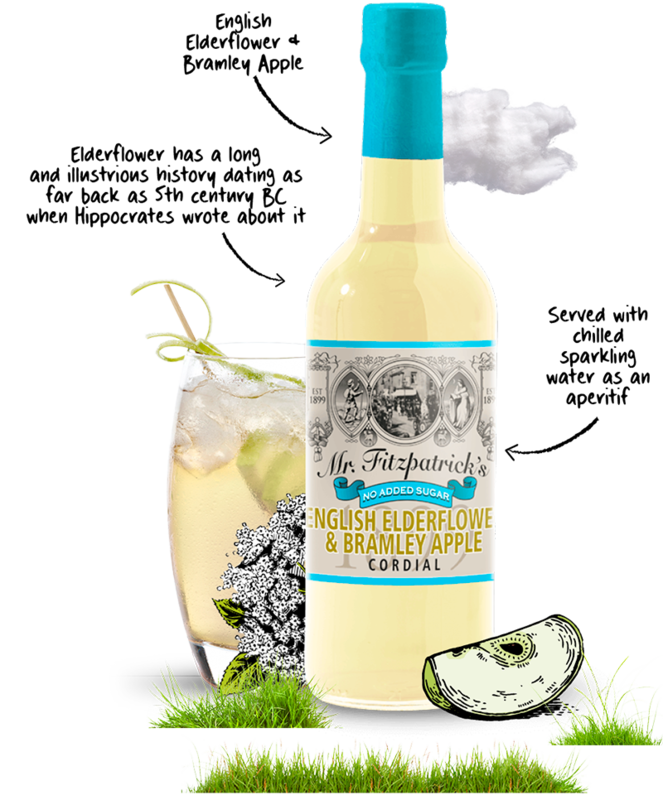 Reminiscent of a summers day with its sweet familiar taste of crunchy apple perfectly balanced with the fragrant taste of elderflower. 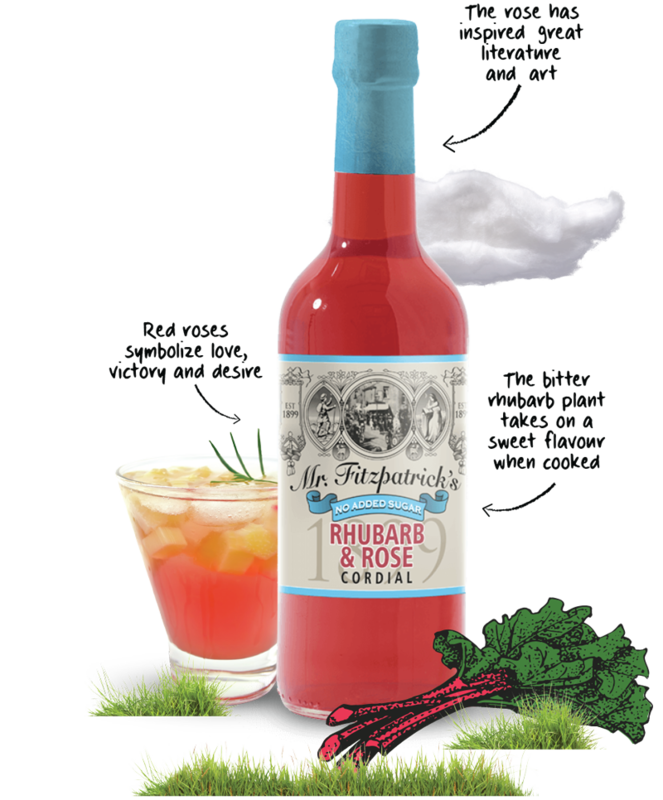 This fabulously fruity cordial is sure to add a touch of elegance to any occasion.